J&L Medical Services is the leading respiratory and durable medical equipment (DME) provider in Connecticut, and prides itself on respecting the dignity and improving the quality of life for their customers and caregivers. J&L’s goal is to provide an atmosphere of caring, competent professional services as well as advocate and challenge legislation on behalf of their customers. J&L is also a leader in providing education and new revenue streams to the medical community by providing continuous positive airway pressure (CPAP) clinics and CEU programs. “We have grown our business by being trusted advisors that always strive to keep the customer in mind, and we take superior care of patients despite cuts in reimbursement rates and increased cost of equipment and technology,” said Lynn Tata, Vice President at J&L. With patient volume growing quickly, J&L was not equipped to keep up with the rapidly changing industry. J&L was challenged to keep their team up to date on the new rules and regulations from Medicare and understood that revenue collection time needed to improve. “We felt like we were leaving money on the table as it was sometimes difficult to collect the revenue. Our staff was working extremely hard, but the industry was changing too rapidly for our staff to keep up,” said John Loyer, President/CEO at J&L. In addition to regulatory challenges, J&L found reporting to be tremendous challenge. With their original software solution, it was difficult to obtain the critical metrics and data needed to make objective business decisions. The data that was being collected was hard to consolidate and did not provide a visual scorecard that J&L desired. “It was extremely difficult to dig deep beyond the accounts receivable. We had to print basic reports and then manually attempt to analyze the information. We were always reacting and were unable to effectively measure our business,” said Brian Mitchell, CFO at J&L. Instead of implementing an on-premise technology solution, J&L selected Brightree’s Revenue Cycle Management (RCM) Services. 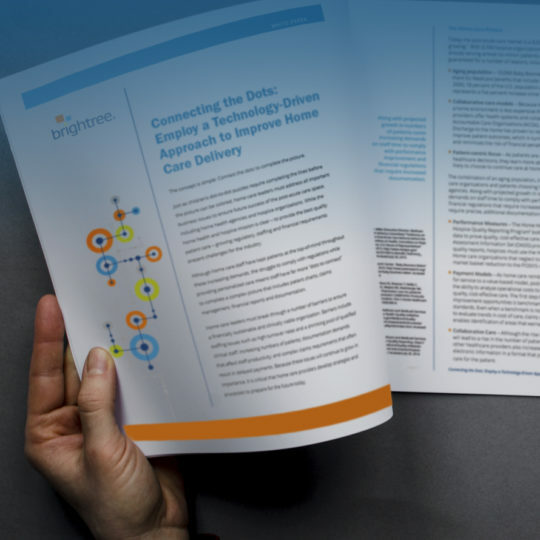 With Brightree RCM Services, J&L could focus on developing and scaling its core business without the worries of managing large DME billing teams. J&L can also ensure that that they are up-to-date with technology and the rapidly changing industry regulatory issues. Also, in this new era of reduced reimbursements, increased audits and regulatory pressure, J&L knows their success depends on the ability to effectively measure and adapt their business to new requirements and emerging opportunities. Brightree DME software and the Brightree RCM services team helped J&L Medical Services improve collections, decrease denials and streamline business processes. Acting as an extension of the J&L team, Brightree worked with J&L to significantly improve collection time, all without an increase in headcount. J&L is now better equipped to make the refinements and adjustments necessary to maintain optimal performance of their business. J&L was also able to easily expand and add new locations without additional expense, overhead or IT investment dedicated to DME billing. In addition, J&L has significantly reduced the time spent on audits and also improved audit response times. “We are now dealing with audit exceptions rather than ALL of the audit work. We can respond quicker, research issues in more depth, and reallocate our employees to higher value tasks, and as a result, our outcomes have improved significantly” said Brian Mitchell.